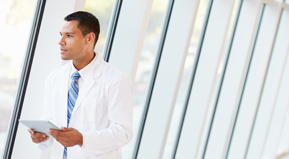 Below is a list of frequently asked questions regarding the ACP PRO Venous Registry. Click on the question below to be taken to the answer. If you have a question about the registry that is not addressed in the FAQ, please submit your question via the form at the bottom of the page. Why is the ACP collecting data? Who will have access to the data? Will anyone have access to MY data? What HIPAA/security protocols are followed? Do I have to be an ACP member to participate? How much does the ACP PRO Venous Registry cost? How do I get my data into the ACP PRO Venous Registry? 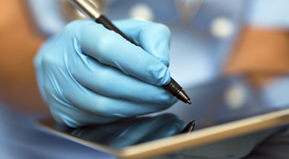 What EMR systems are currently compatible with the ACP PRO Venous Registry? What does “ACP Certified” mean? Can I participate without an EMR system? Is the ACP PRO Venous Registry PQRS certified? Are social security number mandatory? Does participation in the ACP PRO Venous Registry fulfill MOC? What are SF-6D and SQOR-V? The ACP spent two years developing the APRO Venous Registry as a tool for practitioners and researchers to aggregate meaningful, real-world clinical data and outcomes from the heterogenetic venous disease population. A registry remains the most powerful tool to address the epidemiology of a disease state, and is the answer to expensive randomized trials. The ACP PRO Venous Registry collects more than 600 data fields from the wide range of venous disease states and complications, as well as patient reported outcomes. PRO stands for Patient Reported Outcomes, or data collected directly from the patient through a separate survey mechanism. 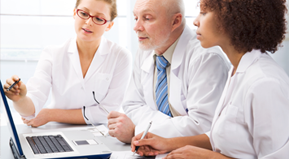 The ACP PRO Venous Registry is a research and benchmarking tool. As a basic user, you will have access to your specific data, as well as the aggregated data of the full database to compare against your own. You will be the only one able to access your own data. Your data will comprise part of the total aggregate, but is de-identified relative to your practice. Data entry, transmission and collection is HIPAA compliant and each segment in the transmission chain maintains industry-standard data security protocols insuring guaranteed confidentiality for both user and patient. No, participation in the ACP Pro Venous Registry is open to all vein care practitioners and researchers. The cost is $1,500 per login. Using an ACP certified EMR system (see website for a list of certified EMR vendors). ACP certified EMR systems export the data in a way that it is easily imported into the ACP PRO Venous Registry without error and without duplicative effort. ACP certification of an EMR vendor simply means that the vendor is able to export a data set which meets pre-established ACP criteria. ACP certification is not an endorsement of any particular EMR system, but a way of determining whether an EMR meets the specific criteria necessary for importing data into the ACP PRO Venous Registry. Yes, you can simply enter your data directly into the ACP PRO Venous Registry manually. The ACP PRO Venous Registry is currently not PQRS certified, but the ACP is working with the Centers for Medicare & Medicaid Service on the process. Social security numbers are optional. This is left to the discretion of each individual state medical board. Please check with your board for their requirements. Comma Separated Values (CSV) files are accepted. The SF-6D and SQOR-V are patient reported outcome (PRO) questionnaires used to assess treatment outcomes. The Short Form 6-D (SF-6D) is a generic health related quality of life tool, while the Specific Quality of Life & Outcomes Response–Venous (SQOR-V) is a disease specific clinical outcome measure. Both tools should be cognitively undemanding to the patient, and require no more than a few minutes to complete. SF-6D requires patients to grade their perceived state of health for features of physical functioning, role limitation, social functioning, pain/discomfort, and mental health. Realizing that cultural differences exist, the SF-6D has been translated, tested, and validated in dozens of countries and each value reported from the questionnaire is culturally weighted for mathematical interpretation. SQOR-V is a venous disease specific tool that has been widely adapted and is a more sensitive assessment in patients with CEAP classes C1-3 for which other venous questionnaires lack specificity. The choice to incorporate these specific classifications and questionnaires is to define the causal question, minimized the possibility for biases and allow for direct comparison of the described treatment modalities with specific demographic details. Please fill out the form below and a representative from the ACP will contact you. Please submit your question in the box above.